Caroline Jackson finally achieved entry into the prestigious 100 Marathon Club last week when she crossed the finish line at Larnaca Marathon 2018. ‘It feels like a dream. Having my friends & family here with me is just the icing on the cake’ Caroline commented. Not only has she run 100 Marathons but she’s ran them in style clocking up over a third outside of the UK and all in 7 years. She’s also been on the podium many times including first lady at Limassol, Cyprus marathon and second lady at both Hunsruck in Germany and Liverpool. 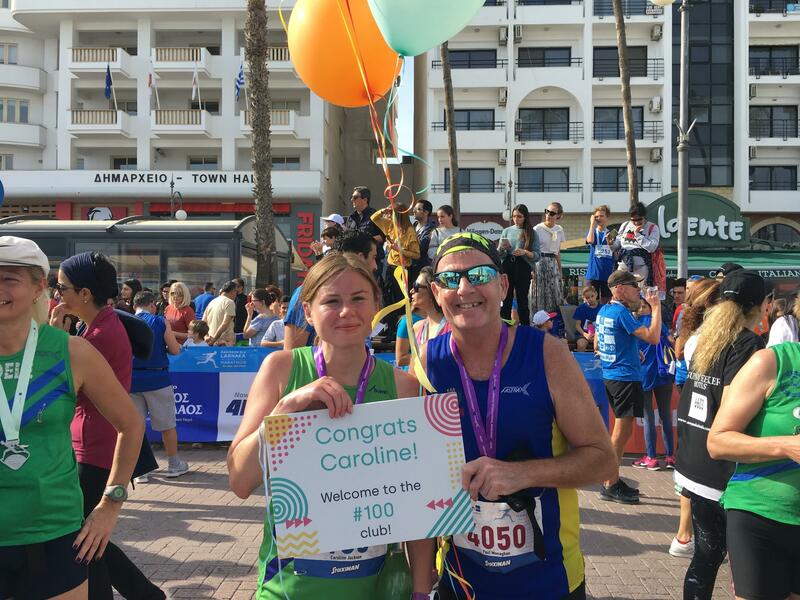 It was a group occasion as Caroline was joined by her partner Paul Monaghan (they call themselves #TeamJackMon) and many members of Reading Roadrunners plus other friends from various clubs at the Larnaca marathon were she finally nailed her 100th. Her family were also there to witness the presentation and join in the celebrations after she crossed the finish line. Well done from all of us at the club. 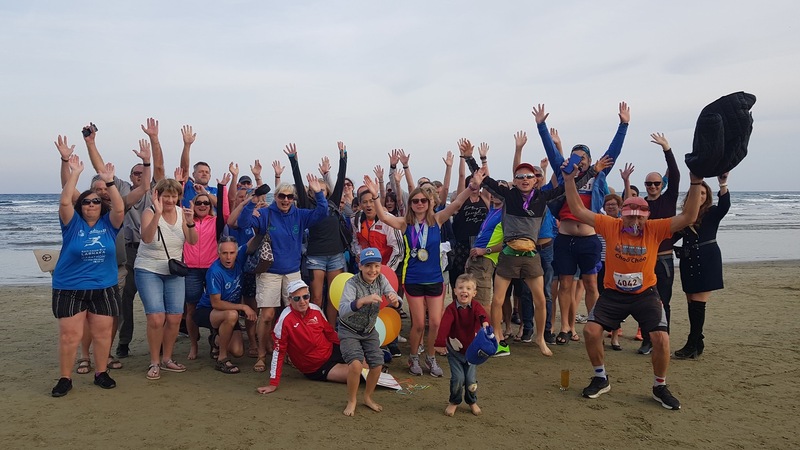 Posted in Abroad, Oct-Dec18, Presentations-Articles, Race Reports, Roadrunners18.